The incident at the Love Machine venue is not thought to be terror related. 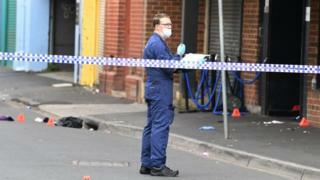 Mass shootings in Australia are rare. The country overhauled its gun laws after 35 people were shot dead in Port Arthur, Tasmania in 1996. The country saw its worst incident since then last year after seven members of the same family died in a murder-suicide. Police say two men, aged 29 and 50, were hospitalised with non-life threatening injuries in the shooting at Love Machine. One of those in a serious condition is aged 28, but no details about the fourth victim has been released.